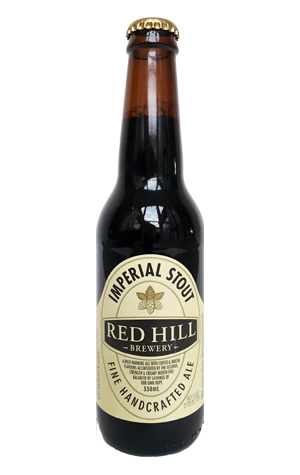 It might only come around once a year, but it's fair to say this is Red Hill's flagship beer. It's the one that the brewery's fans yearn for more than any other and one that, despite being one of the very first beers of its style to be released in Australia, continues to more than hold its own as newer, bigger and flashier imperial stouts come along. In the world of imperial stouts – at least today – 8.1 percent ABV is rather conservative, yet the beer delivers plenty. Pouring deep black with a viscous body that crawls down the glass, it has a rich, roasty nose with a touch of caramel and a deep mocha and coffee flavour accentuated with toffee, liquorice and dark chocolate characters. Three hop additions of the brewery's Willamette and Goldings hops give it plenty of subtle, balancing bitterness, creating a beer of great depth and quality. Little wonder it's the brewery's most awarded beer, collecting yet another gold medal at the 2016 Australian International Beer Awards.